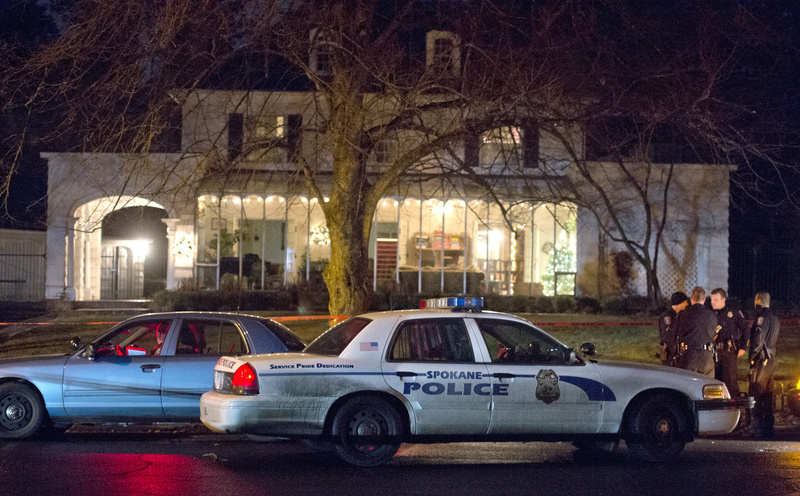 UPDATED: Mon., Dec. 16, 2013, 9:11 a.m.
Walker would not comment on whether there was evidence of forced entry. He asked neighbors to submit any and all surveillance footage. Crime scene tape that was up earlier around the home on South Garfield Road has been removed. Spokane Police Department forensics personnel are searching through tall grass in a lot just north of Hutton Elementary School. SPD officials would not comment about whether the search is related to the homicide investigation. Spokane Police Department spokeswoman Monique Cotton said students at Hutton Elementary School are in no danger as a result of the homicide around the corner on Garfield Road. Cotton said police are stationed at the school to help everyone feel more safe. Police are still searching for the suspect, described only as a white man wearing all-black clothing. Spokane police were searching Sunday night for a man who broke into a South Hill home and fatally shot a resident. Police did not identify the man who died. Spokane Major Crimes was at the home leading the investigation. The man’s wife called 911 shortly after 7 p.m. to report that an intruder had shot her husband. About 30 officers converged on the scene near Hutton Elementary School, blocked streets and searched for the suspect, who remained at large, Lt. Justin Lundgren said. Police spokeswoman Monique Cotton described the suspect as a white male wearing all-black clothing, and confirmed the victim died. Lundgren said he believed the victim is the owner of the home at 2505 S. Garfield Road. The wife told a 911 dispatcher the intruder pointed a gun at her husband, who tried to calm down the man. She then ran upstairs and heard gunfire. Published: Dec. 16, 2013, midnight Updated: Dec. 16, 2013, 9:11 a.m.